The Vocational College have been working with Westport in Maryport, Cumbria, delivering GQA QCF qualifications at Level 2 and 3 in Production of Glass Supporting Structures. Westport supplies some of the major window installers both in the commercial and private sector throughout the U.K.
TVC Glazing assessor Jason Parker is pictured right with members of Westport staff who have just received their qualification. 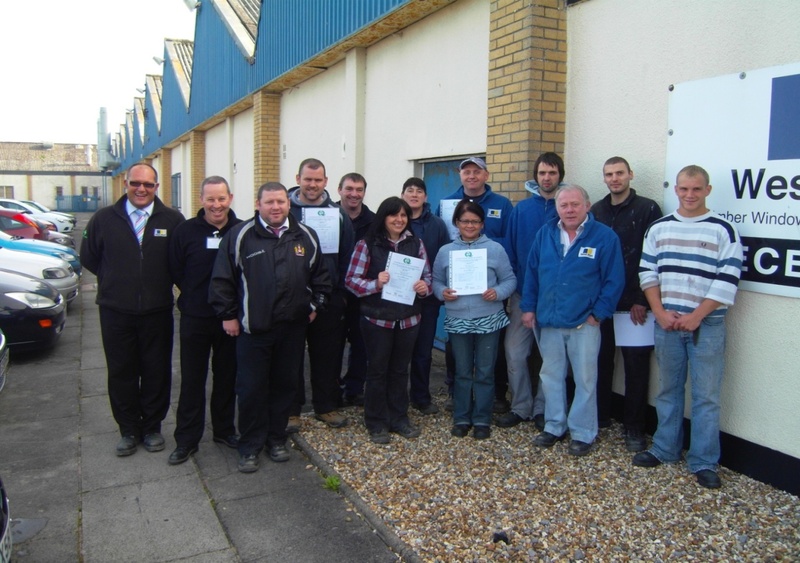 In total 19 members of staff took part in the QCF programme.